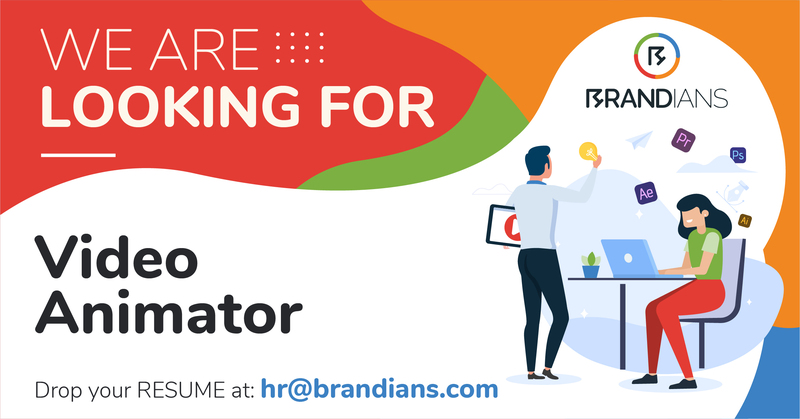 BRANDIANS is looking for a creative 2D animator with up-to-date knowledge to interpret our clients’ needs and design solutions with high visual impact. As a member of Brandians the 2D animator will collaborate with the creative department to concept and animate for a variety of digital advertising and video content assignments. The ideal person for this role is well versed in motion graphics, video production, and interaction design. Collaborate with creative directors, and copywriters to develop and animate stories for a variety of video content projects. Help brings creative ideas to life, through motion, in a relevant and unique way. Execute original motion graphics and visual effects for promo spots, graphic packages, brand trailers, digital signage, product demos, agency reels, and case studies. Play a key role in inspiring and motivating team members through the application of fresh and inventive motion work. Absorb creative direction while bringing unique ideas to the table. Demonstrate a strong sense of ownership and attention to detail during the production process. 1-2 years of motion design experience. Experience working in a creative agency environment is preferred. Background in film, animation, graphic design or other moving image-related field. Considerable experience executing creative, narrative motion design to a high standard. Solid knowledge of AdobePhotoshop, Adobe AfterEffects and Adobe Illustrator. Knowledge in video and sound editing programs a plus (Final Cut Pro, Premiere, Logic). Able to work on several projects at once. Work independently as well as with internal teams and clients to manage complex projects.